An ergonomic plastics degating tool that employs by-pass cutting rather than conventional compression cutting to produce clean, flat cuts without edge deformation is available from Xuron Corp. of Saco, Maine. The Xuron® Model 2175A Maxi-Shear™ Flush Cutter is ideal for removing molded plastic parts from sprues because it employs by-pass cutting which produces clean, flat cuts without the edge deformation caused by compression cutting. 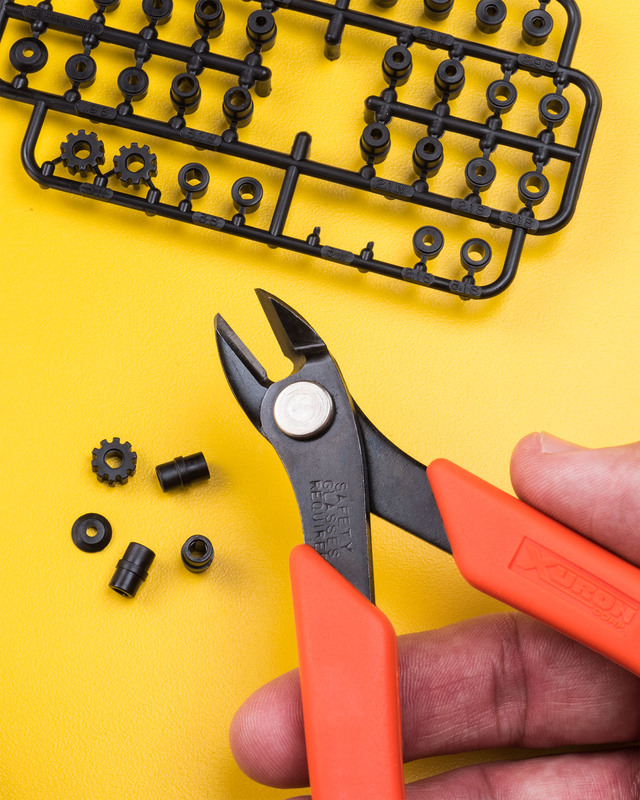 Ergonomically designed, this sprue cutter has soft rubber cushion hand grips, a Light Touch™ return spring, and provides the proper cutting leverage. Eliminating cumbersome finger loops, the Xuron® Model 2175A Maxi-Shear™ Flush Cutter is constructed from high carbon steel and fits comfortably in any sized hand. This precision ergonomic cutter has a glare-eliminating black finish that is easy on the eyes, making it ideal for assembly, production, and quality assurance personnel. The Xuron® Model 2175A Maxi-Shear™ Flush Cutter is priced at $18.95 (list). A complete catalog of cutters, pliers, and forming tools is available online and in-print.